Channel your inner Rosie the Riveter with a 40's throwback headscarf look. With just a few easy steps, this DIY hair accessory will have you sightseeing in style. The autumn season has me dreaming of cozy cabin escapes away from the city. For those quiet outdoor afternoons, take in the beauty of fall's foliage without compromising style by simply draping your scarf as a light outer layer. 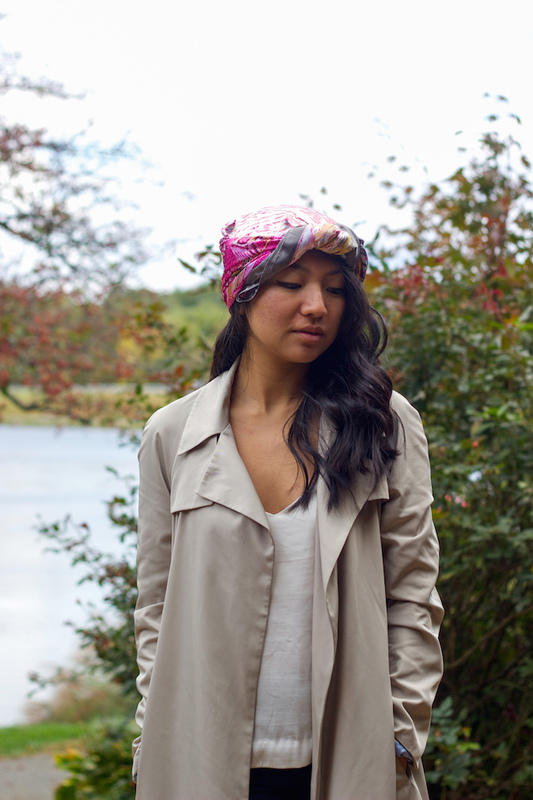 Give your scarf a western vibe with an upgraded bandana look. After shaping the scarf into a typical bandana, add a loose knot to the front to create a piece that is sure to stand out against your wardrobe basics. Now your luggage won't be weighed down by your jewelry collection. 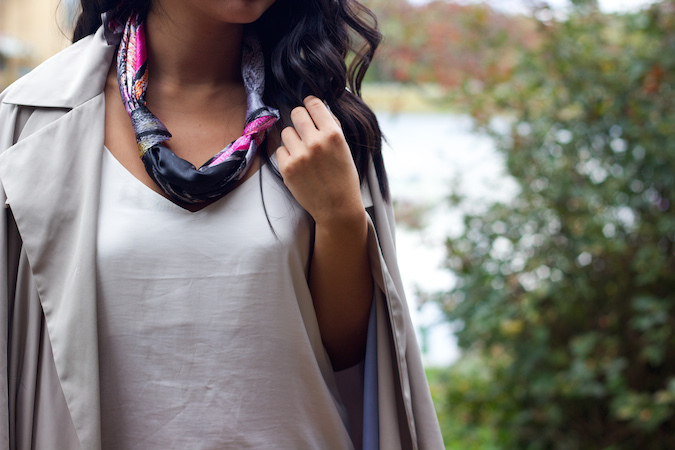 Tie a few knots into your skinny-folded scarf to create a quick alternative to those heavy statement necklaces. Dress up seamlessly for those evenings out with a bold choker look. It goes to show that with a silk scarf in hand, you can wear the same outfit every night and never look the same. Which of my looks for the Coutourist Challenge has been your favorite so far? 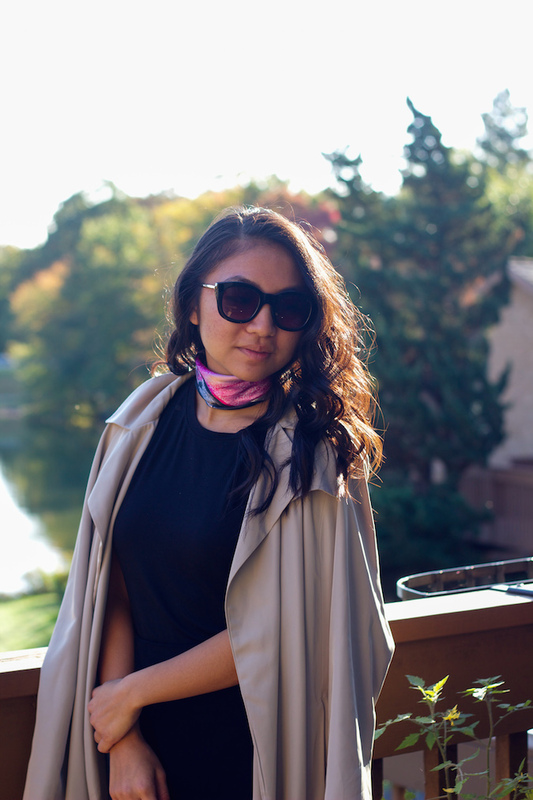 Feel free to give it a try with your own Coutourist scarf, and be sure to use the code MTB003 for free shipping off your entire purchase! Coutourist will also be donating 5% of sales towards Breast Cancer Awareness. There is just one week left of my challenge, so get shopping! Beautiful! There are so many ways to wear a scarf that we just don't think of! i honestly can't pick one. i think what i adore the most is exactly the versatility of it, the ability to be worn in different ways, which you so amazingly discovered! thanks for the inspirations! Loving this look, your hair and boots are super gorgeous. 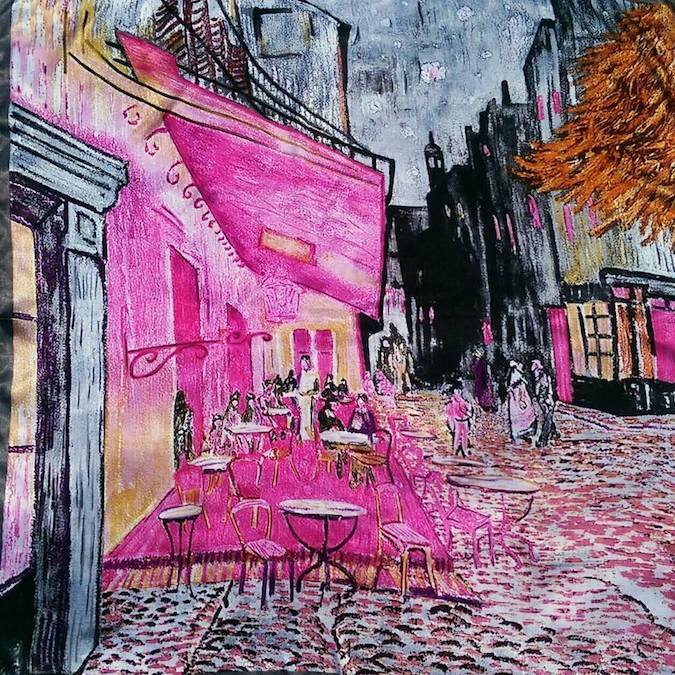 Hi lovely, great challenge, I enjoyed the other parts as well, love silk scarves like this one!! Have a wonderful Sunday. Love how you styled a scarf in so many different ways. So creative. What a great challenge, Christina, and you've done it so well, too! I'm loving the headscarf at the moment! Very cool post. I've never thought of using a scarf as a belt and you've done it so great! Interesting challenge. Im not much of a scarf user though. Whats nice is that I learn some tips. Thanks Christina! You are so creative! Love all the ways you wore this scarf!!!! Nice scarf and nice good ideas !! Ahh, these looks are amazing! I'm especially loving the one used as a cape!